A non-tainting liquid that allows easy removal of contaminates such as nicotine, atmospheric grime, oil deposits, finger marks and dust. Designed for use on most types of glass, mirror, plastic and hard surfaces such as chrome and laminates. 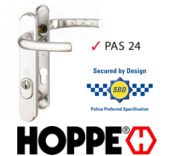 Ideal for use in the double glazing, automotive and hotel industries and for use around the home.